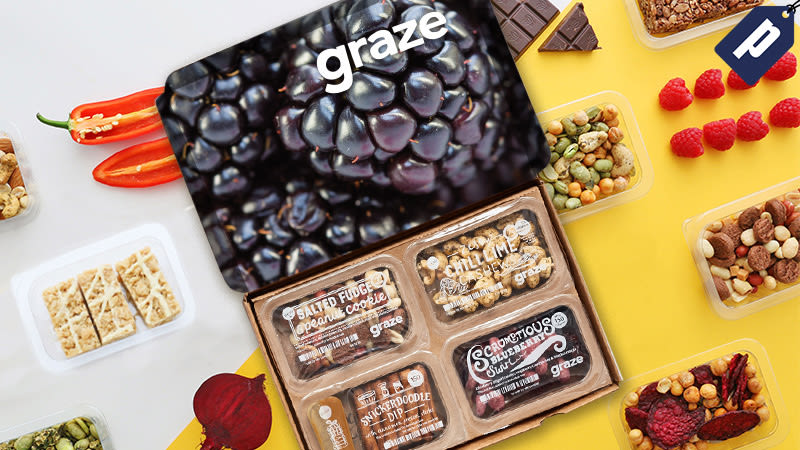 Graze sends you monthly boxes of healthier, non-GMO snacks from wholesome, fun ingredients. With over 100 varieties of snacks, Graze ensures both sweet and savory tastes are satisfied. Boxes are normally $14, but readers can get their first box free, including free shipping. See full details here.